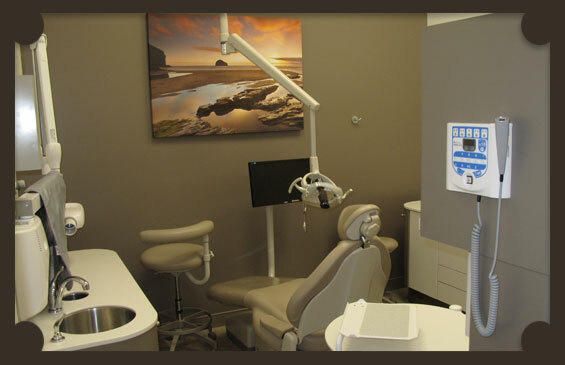 Guildford Town Centre offers you the latest in dental technology, including intraoral cameras and VELscope oral cancer screening devices to keep your smile in the best shape possible. Learn more about what our dental technology can do for you! Intraoral cameras allow us to take detailed photos of your mouth for insurance purposes and to show you how your oral health care routine impacts the state of your teeth, tongue and gums. VELscope oral cancer exams are quick, non-invasive exams that allow our team to screen for potentially cancerous lesions in your mouth that are difficult to detect with the naked eye. Digital Xrays use up to 80% less radiation than traditional xrays and are a great way to help the environment, too, since digital rays don’t use any harmful chemicals. Our team consistently attends continuing education courses to keep up to date with any improvements in dental techniques and technology in order to give you the most effective, efficient treatment possible. If you would like to book an appointment, contact Guildford Town Centre today!